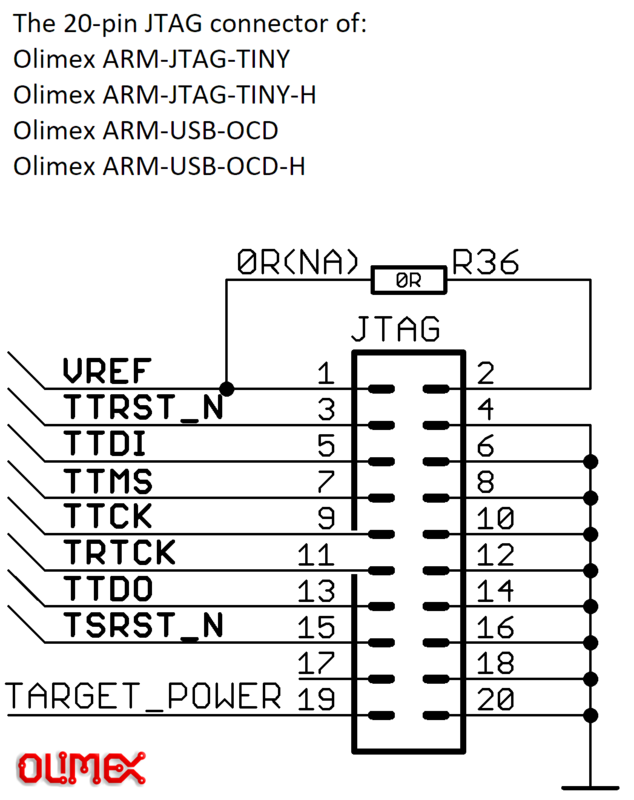 * High speed USB 2.0 with lower latency time, RTCK adaptive JTAG clock up to 30Mhz and higher throughput achieve x3-x5 times faster programming speed than ARM-USB-TINY, can be used with all ARM devices for programming and debugging. 你就會發現這個"Debug Transport Hardware"的前半段是接PC，後半段是接Target上的Debug Transport Module (DTM)，也就是說，前半部是用USB跟PC溝通，而後半部是用JTAG跟Target溝通，而這個ARM-USB-TINY-H Adapter的主要功用就是將USB轉成JTAG! * USB 2.0 High Speed (480Mbits/Second) and Full Speed (12Mbits/Second) compatible. * Dual Multi-Protocol Synchronous Serial Engine (MPSSE) to simplify synchronous serial protocol (USB to JTAG, I2C, SPI or bit-bang) design. 簡單的說，在這邊主要是透過該晶片所提供的MPSSE(Multi-Protocol Synchronous Serial Engine)技術，將USB 2.0 High Speed訊號(這邊用的是FT2232H)，轉成JTAG、SPI、或是其他等等同步序列協議! 從這個架構圖中可以看到，除了自帶一個EEPROM可以用來儲存包含VID、PID、USB String Descriptors等等資料外，最重要的部分就是黃色框起來的地方，分別是USB Protocol的Controller和MPSSE的Controller，後續的文章中，將會專文介紹到MPSSE的Command Processor!